The Hunger Games: Catching Fire movie has been silent for a little while, but it was for good reason. The team behind the movie has been reserving the best for last, well maybe not for last. Just check out this very fantastic movie poster, which ignites the excitement in every fan. The newest The Hunger Games: Catching Fire poster is nothing short of stunning as it features Katniss Everdeen in a moment in Quarter Quell. Our favorite champion wields her bow and arrow as she stand atop a mountain. Does this signal a victorious end for her? Check out the poster of The Hunger Games: Catching Fire poster below. It's so nice a coincidence (or is it?) 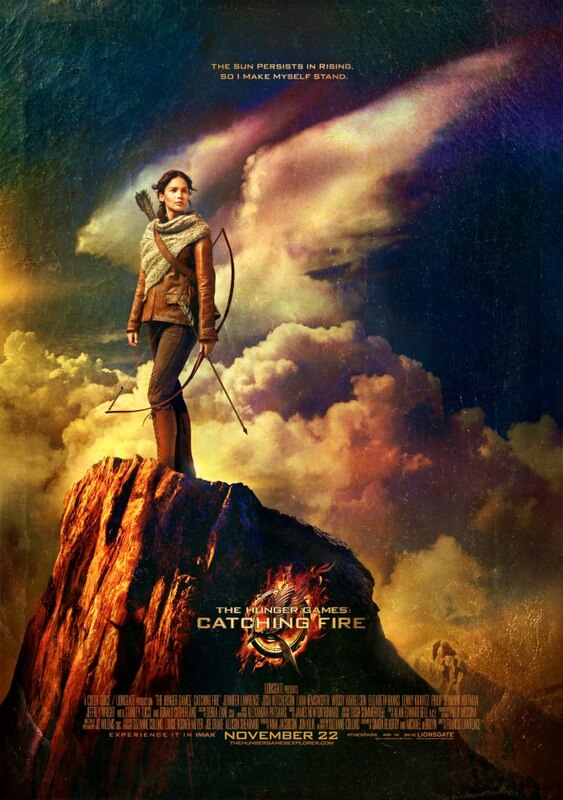 that the clouds behind Katniss look like wings or the mockingjay featured in the movie's logo. Is she the personification of the mockingjay or is just to amplify our guess that's she's gonna win on the Quarter Quell, as if she is being lifted by these wings to triumph. We'll find out about that during the movies official release. And here is the banner version of the poster. The champions battle it all out in The Hunger Games: Catching Fire on November 22, 2013.